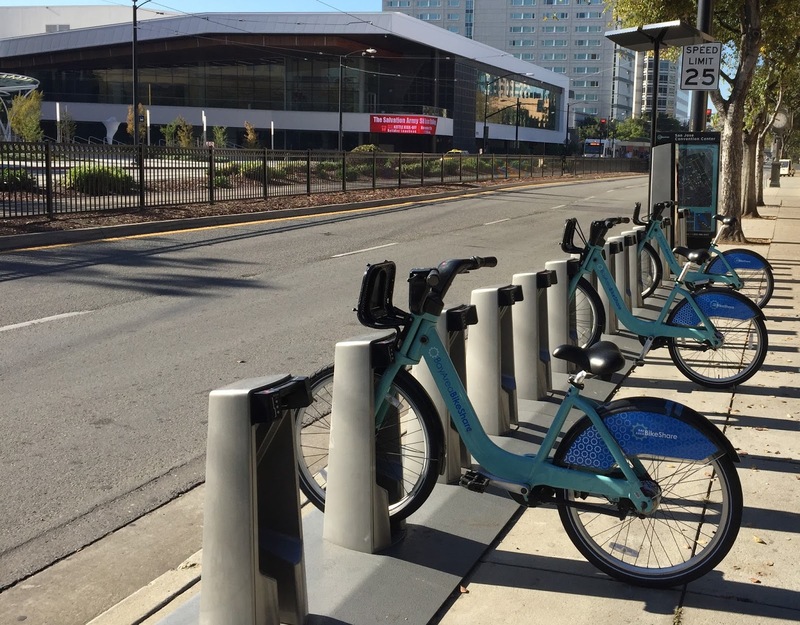 Today you can use a Bay Area Bike Share bicycle for free. Really. It’s a cool promotional event, and as someone who has used bike share extensively in London I can attest to the value and fun-factor of bike share. 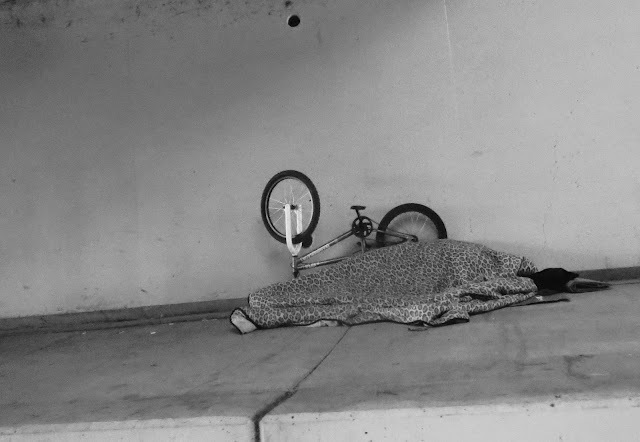 On a normal week I’d suggest one take a bike share bike on say, I don’t know, mountain biking at Santa Teresa County Park, a ride through the drive-in at a grotesquely overrated burger chain, and so on, but this has been a mean week. Actually, I take that back: A small number of mean people have gotten a hold of megaphones and, in loudly turning their backs to Syrian refugees, are literally going out of their way to make the U.S. seem a lot less compassionate than it really is. Me, I want to give all Syrian refugees bicycles as welcome gifts and I’d guess most of my readers would want to do that too. We think different. Dress different. Vote different. Pray different and move different. But we all have to eat and no matter where we live there are people out there who are hungry. Food Bank Biking is when you ride a bike, laden with as much food as you can carry safely, to a local food bank. It’s something anyone can do, and it's something we did in Stamford twice just before Thanksgiving (though I couldn’t do it with my friends the first time but instead did a food bank run in Cleveland). Look up your local food bank and, hopefully, organize friends to get together sometime and bring food to help the hungry. In San Jose, The Second Harvest Food Bank of Santa Clara and San Mateo Counties has two locations in San Jose: one on 750 Curtner Avenue and another at 4001 North 1st Street. If you choose to use a Bay Area Bike Share bike, you should be able to at least make it to the latter and back to the docking station before your 30 minute free ride is up. 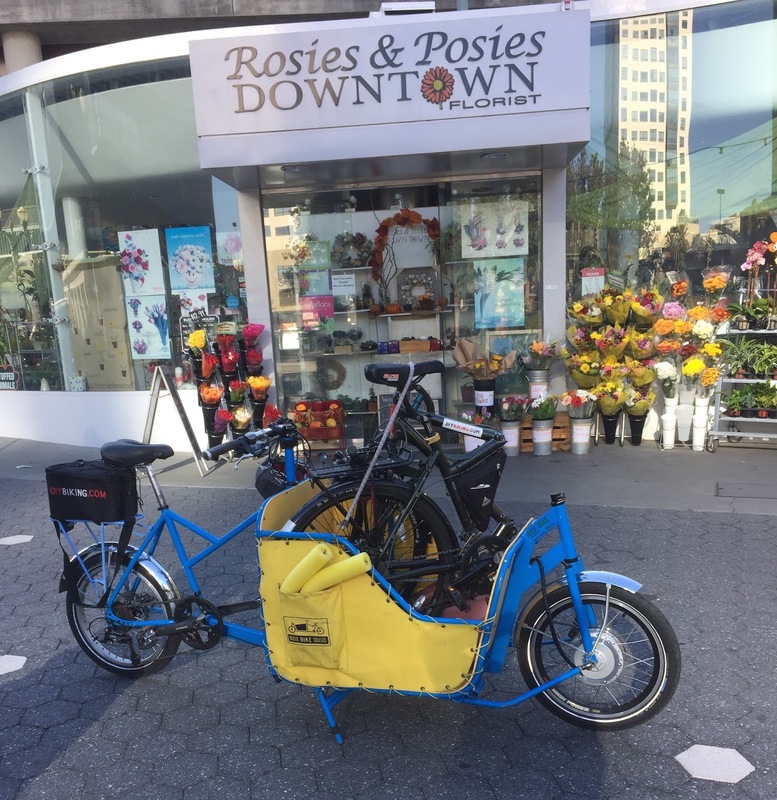 When I borrowed the Box Bike Collective cargo bike I brought it to Rosies & Posies to meet the founder of Cowgirl Bike Courier, who was borrowing the Box Bike since his own cargo bike was stolen (this was a story I followed closely and I am pleased to report it had a happy outcome). 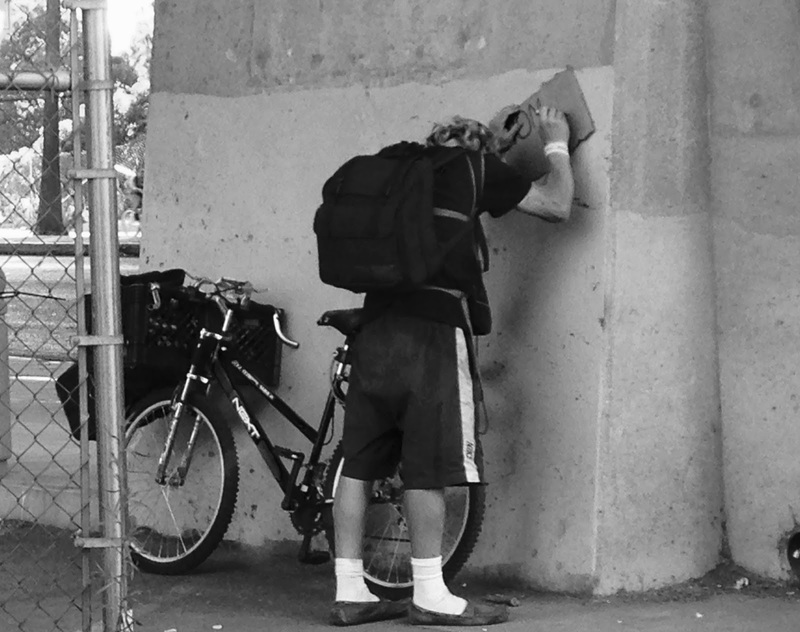 What I never mentioned is after I gave him the bike and took my Dahon Matrix down the street to get a cup of coffee at Philz, I noticed a lot of people walking by holding flowers. A lot of people. I found out later someone had bought flowers and was handing them out to strangers. Seems like a nice idea. If you like flowers you can bike there and give it a try. While I know none of you are surprised Good Karma Bikes is on this list, I must remind you once again they are in their new location at 460 Lincoln Avenue. I admit the outside, as of this writing, looks more like the place Robert DeNiro tried to send Lorraine Bracco to pick up dresses in the final act of Goodfellas. But please don’t let the incomplete signage throw you; the inside retail area just looks spectacular and the people behind the counter are as awesome as ever. 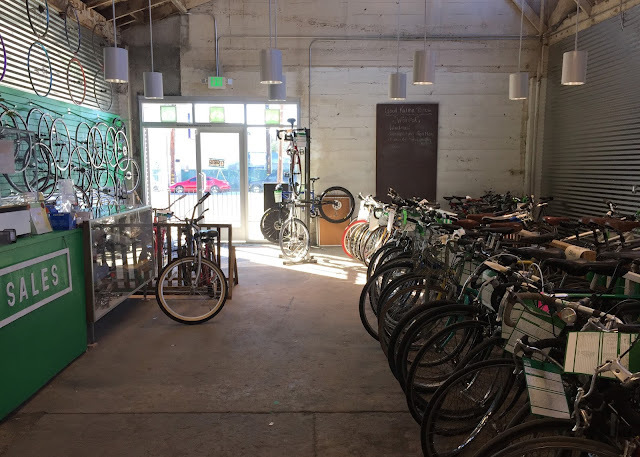 A 30 minute trip with a Bay Area Bike Share Bike isn’t enough time to volunteer at Good Karma Bikes, but it is enough time to ride there to buy a needed bike part, an accessory or even clothing for your own cycling needs (The retail shop is open today from 2:00pm to 6:00pm). And it goes without saying that the proceeds go to keeping Good Karma’s community efforts going. I’m planning to do a Food Bank Biking run this coming Sunday at 9:00am as my cycling brothers and sisters in Stamford are doing the same thing Saturday, November 21 at noon EST - but also because I just want do something to help drown out the anger, paranoia and cruelty that was on the lead story on the nightly news all week. Hope to see you on the road with a food donation. Thanks for reading and thanks for being compassionate.